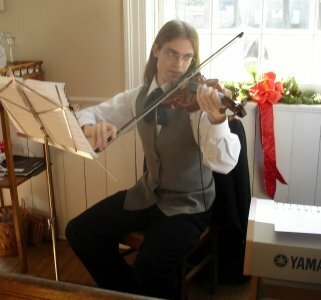 My interests include running, playing the violin, and programming (otherwise grad school would have driven me insane). I have done a great deal of embedded programming, first at ITT Avionics and now at WINLAB. Part of my current research involves writing code for the radio tags that I use. The current version of the tags use different versions of the MSP430 processors from TI. Aside from the MSP430's rather sketchy tool-chain in Linux, I think that these are pretty good microcontrollers, especially for very low power situations. The wide variety of MSP430 models also means that it's easy to take skills learned in one application to another because the chips all have the same programming environment. Beyond just embedded stuff, I am also very interested in programming in general, especially trendy new programming languages and cool functional languages, like Haskell and Erlang. C++ is still my go-to language though, especially since a lot of life was breathed into it with the C++11 standard. Ruby is my go-to language for short program though, and I rely on bash/awk/sed/etc for quick data processing and formatting. When I was a TA I got a small taste of teaching and found it to be both fun and fulfilling. I hope to do more teaching in the future, but since TAing left little time for research I am currently a GA and spend my time at the lab. I still enjoy going on a tangent and teaching some computer science to anyone interested.